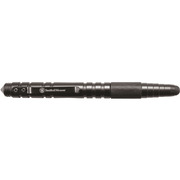 The MP2BK the second generation of tactical pen by Smith & Wesson (main pic) This self defense pen is 5.75-Inches long and weighs 1.5 oz. Made from T6061 Aircraft Aluminum it is very sturdy and tough. The cap screws on and off. It has a good size and very strong pocket clip. 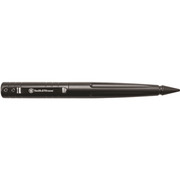 Uses Schmidt P900M Parker Style Black Ball Point Pen Refill which is similar to the Parker style refills. This a great combination of practical pen and kubaton striking tool and will hold up for years of hard use. 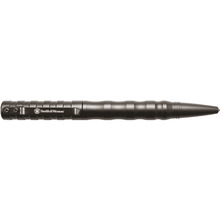 The MP3BK is the newest generation of tactical self defense pen from S&W.